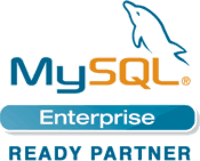 MySQL Ready Partner Healthcare software development being a Microsoft Certified Partner, Technosoft has access to the latest technology updates, cutting-edge training, released software and level 2, 3 support directly from Microsoft. Each Microsoft Certified Partner must employ a minimum number of Microsoft Certified Professionals (MCPs) who have a demonstrated level of technical expertise and the proven ability to deliver solutions featuring Microsoft products. This partnership provides our customers indirect access to a technology leader and enables us to deliver high-quality solutions to our customers’ unique problems.